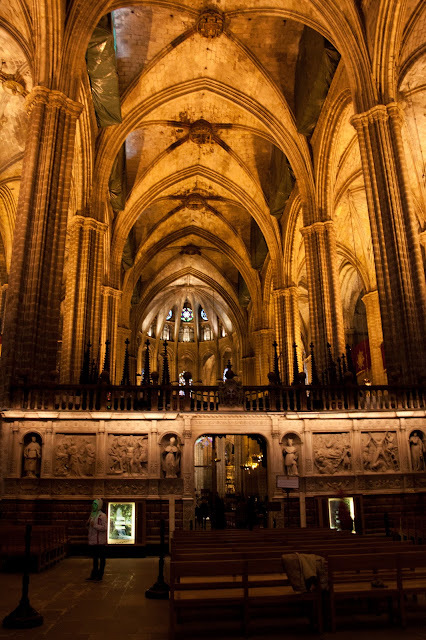 Barcelona's Cathedral, also called Catedral de la Santa Creu i Santa Eulália in Catalan and called La Seu by locals, sits in the heart of the Barri Gótic, or Gothic District. 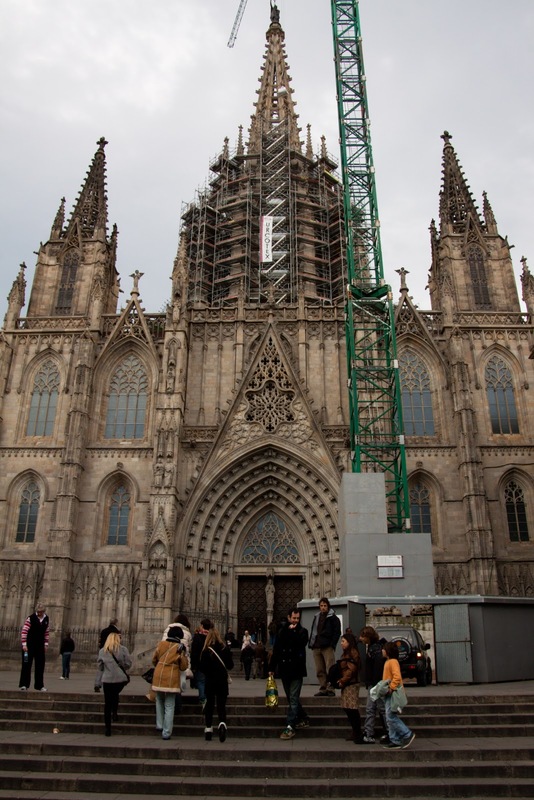 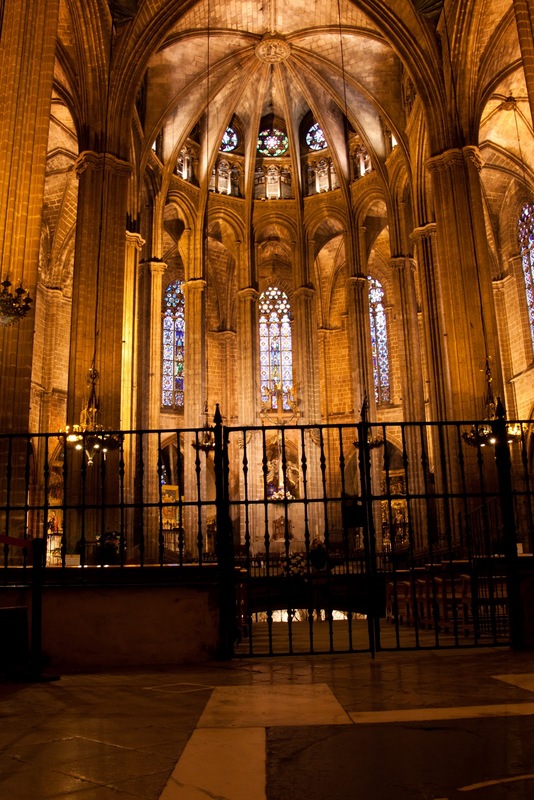 The cathedral was begun in the 13th century, with construction winding down in the 15th century. I interpreted this sign as either "No Large Format Cameras" or as the more traditional "No tripods". 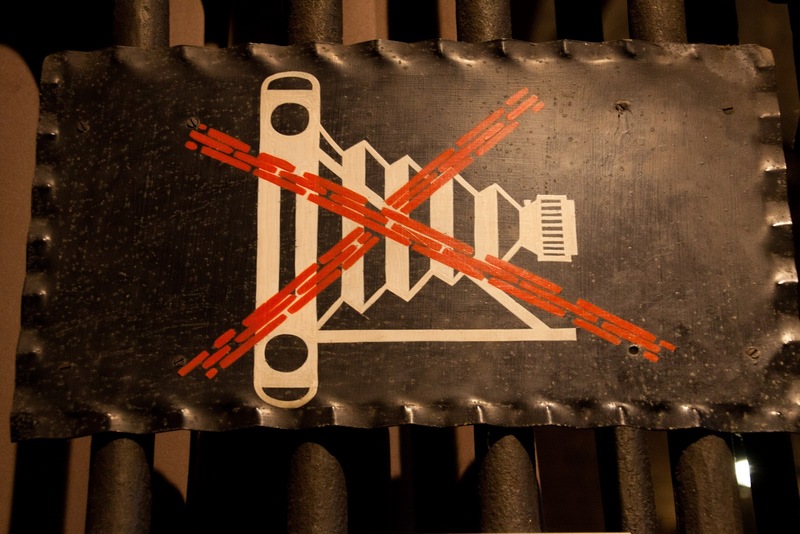 I didn't use flash and never had anyone remark to me about taking pictures, so I think I was okay. 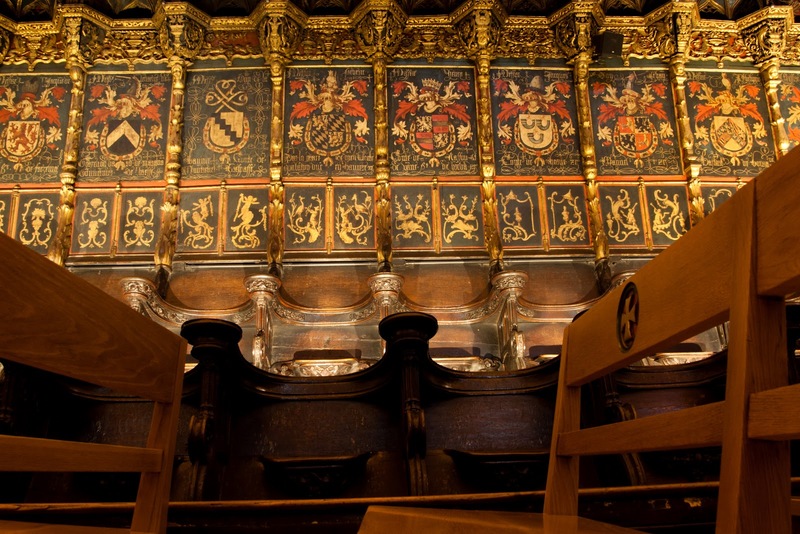 The choir stalls show the coats-of-arms of the knights of the Order of the Golden Fleece. 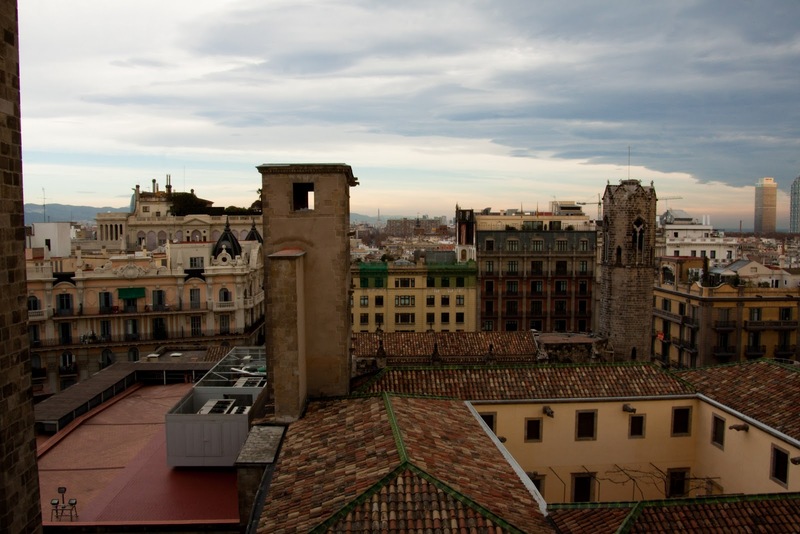 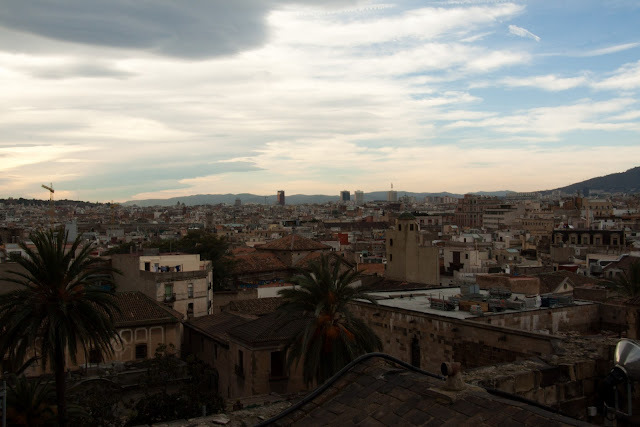 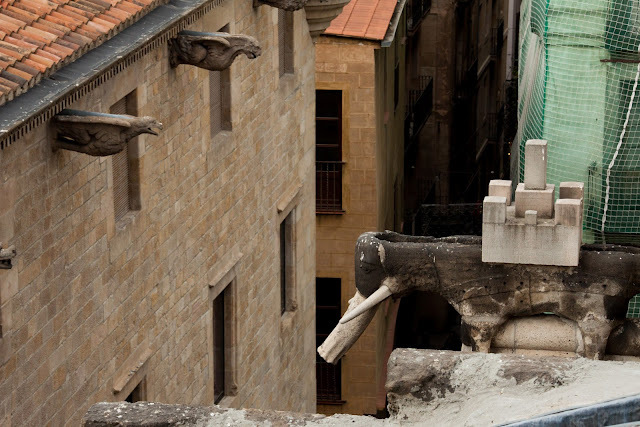 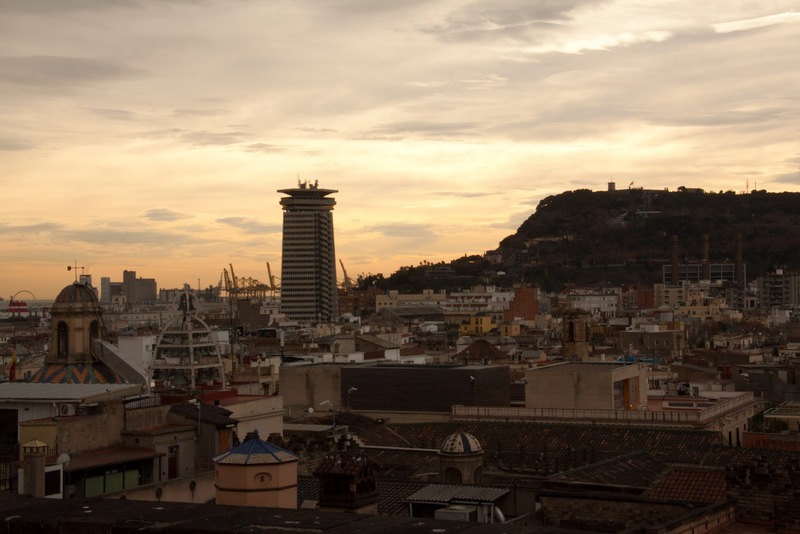 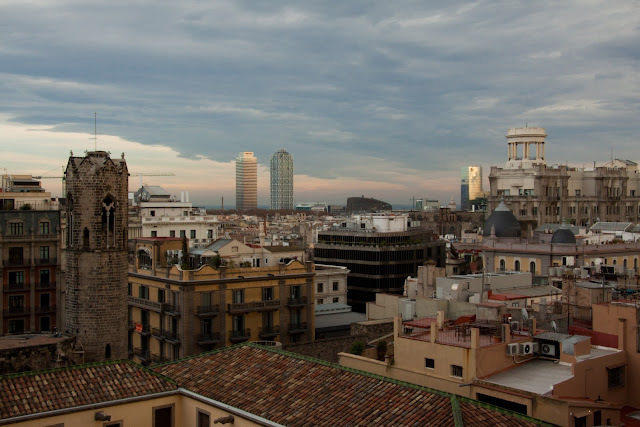 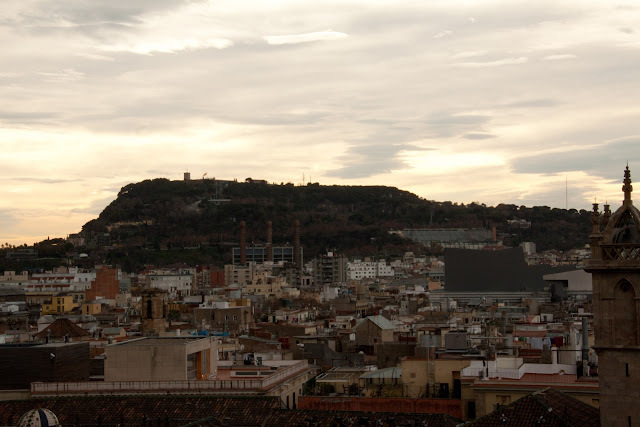 We were able to go up a tiny elevator to the rooftop and get a gorgeous view over Barcelona. 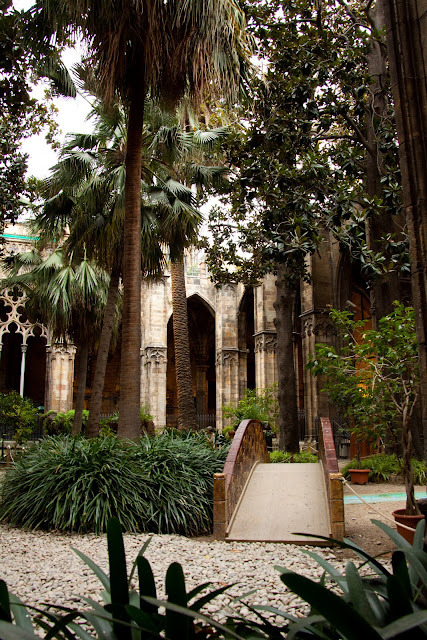 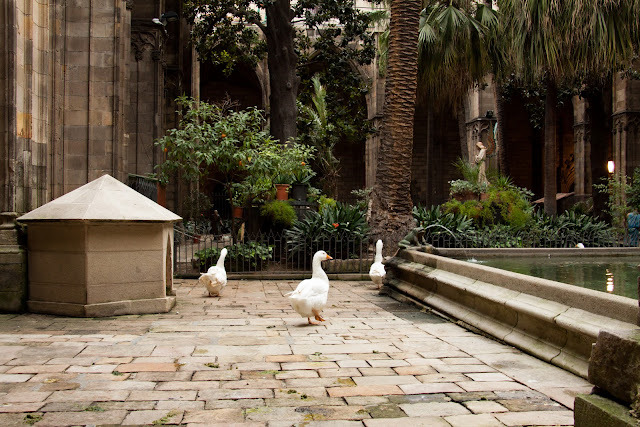 Thirteen white geese live in the central cloister of the cathedral, symbols of Saint Eulalia.